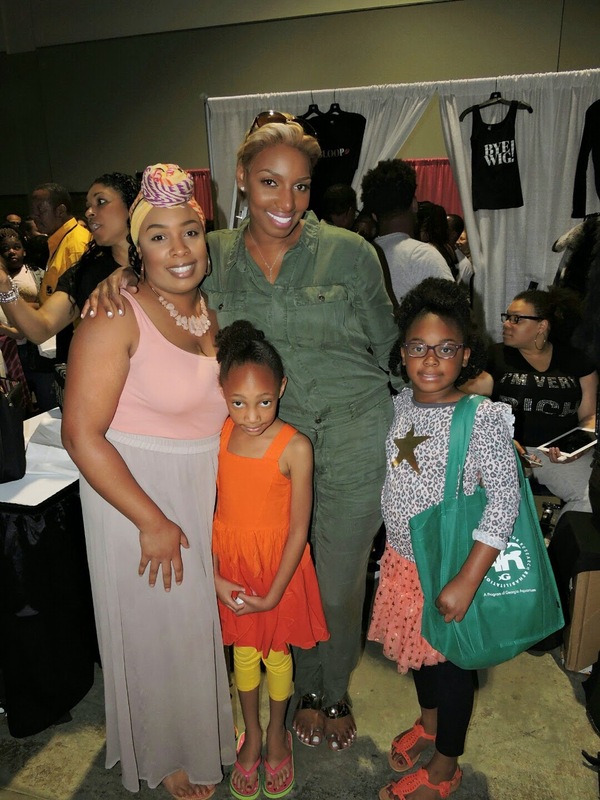 Alive Expo and Atlanta Ultimate Women's Expo Recap Plus Meeting Nene Leakes! Hey yall! This past weekend the girls and I went to not one, but two expos in one day! We were already going to the Alive Expo because I was going there as media but we noticed once we got to the expo that there was a big crowd headed to Atlanta Ultimate Women’s Expo due to all the speakers that was going to be there like Wendy Williams, Nene Leakes, Jaszmine Guy, Tabatha Coffey, Kim Zolciak, and more! Our first stop was the Alive Expo. Last year the Alive Expo was the girls and I first event we attended to as media and we had a great time then and this year we enjoyed ourselves again. But this time I noticed the event wasn’t as busy as it was last year so it was easy for the girls and I to explore around. The girls and I went taste testing natural foods, tried on organic skin care products, and the girls were finding candy from vendors candy bowls to add in their pockets. Two companies I made purchases from was AUBREY which I’ve used their haircare products when I still had relaxed hair and a skincare company called Good On Ya. With the summer fast approaching I need a shampoo and conditioner to keep my hair moisturized and healthy. Since I haven’t used AUBREY in years I had one of the ladies at the booth point me to direction of best shampoos and conditioners from their product line. She recommended me to try AUBREY’s Rosa Mosqueta shampoo and conditioner because it helps nourish and strengthens hair. I was sold after she told me that. When I went home I immediately used my AUBREY products and was amazes at how strong my hair came out and soft. The reason I stopped using their products is because I couldn’t really find their brand in stores. I guess I’ll need to start going to WholeFoods or find it on Amazon. Good On Ya helps promotes good skin health. Their products helps if you have acne, rash, burns, eczema, arthritis, dry skin, psoriasis. They are anti-viral, anti-fungal, anti-bacterial, and anti-inflammatory. I was sold when the lady from the booth spread some of their manuka honey skin treatment over my hands and my hands came out so soft and my skin had nice glow to it. She gave me some travel size creams and a travel scrub to take along with me. I’m such a sucker when it comes to skin care products! I’m starting to become a skin care product junky- oh no! It never fails, when my girls see a big bounce house they throw off their shoes, run inside, and bounce away! After the bounce house, the girls and I made our rounds around the expo again and then left. We headed next door where it seemed where all the action was taking place. That women’s expo sure was the place to be! Seems like every woman in Atlanta was in there! We missed out on all the speakers but we did get to see one of them who had a pop up shop which was Nene from The Real Housewives of Atlanta. The crowd surrounding her booth was crazy so the girls and I walked away and checked out other booths. This expo was filled with boutique products like clothes, jewelry, makeup, skincare products. Also, live demos of people getting their hair and makeup done all over the place; very overwhelming! The women’s expo was soon to close and we headed back to Nene’s booth. The crowd lessen down so we decided to stand in line to meet her. While standing in line I found out we had to buy one of her products which were t-shirts or her book in order to get a picture with her. Geez….I didn’t want anything from her shop but since I was close to the front when I found out I purchased her book, I guess I’ll read it on my way to Vegas this summer. After standing in line for about a half an hour we finally met Nene. She told the girls they were so pretty and me how flawless my skin was and then gave me a high five. She seemed very humble and not like the cruel b**** she is on the show. I hope she really is nice like that in real life. Her whole family was working the booth so I met her sons, her best friend, and her husband Greg, who by the way looked like the Good Humor Man with his ice cream man suit on, lol!!!!!!! After that meet and greet, the girls and I went home to get ready for the fight night at our house between Floyd and Manny. I feel that fight was rigged and it was so boring, I want my money back! I will never again purchase another fight, it is not worth the $90 bucks I paid. Do you attend expos? If so, which ones do you go to? Sounds like some fun events minus the fight :) I have not attended any expos as a blogger yet. I know S would have made a beeline for the bouncy house - she loves those! 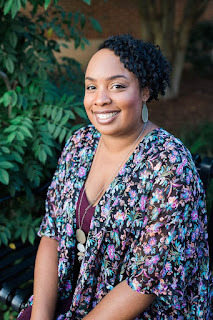 You should attend expos even if it is not a blogger event, you find out about some great up and coming companies. Yes that boxing game was too boring! It's like they had us all fooled to spend our money on it. Never again! That was a good day. Your girls are beautiful! That turban you're rocking is ev-er-y-thing! You're skin looks amazing. Thanks girl! People are always stopping me about my turbans. I get regular scarves from fabric stores and Target and just wrap it around my head. Great coverage of the event. I wanted to go, but was not able to. I did go to the World Natural Hair Show and the Gluten and Allergen Free Expo. I am looking forward to more this month. I wanted to go to the World Natural Hair Show but had other things going on last weekend. I went to the Gluten and Allergen Free Expo last year and may go again. I would love to go to the Alive expo. I love using organic and natural products. I'm glad to hear that Nene was nice. Too bad you had to purchase something to get a photo with her. I guess she is making sure she stays "rich" and making her coins any way possible. What a fun event! I love that they thought of ways to keep kids engaged! I'm not sure I would have bought something from Nene just to have my photo taken with her (although I think it is a brilliant business model on her end). Yeah I like events that also have things to do for children. I wasn't going to buy merchandise from Nene at first but since I was in front of the line when I found out I went ahead and bought something. I use to be a fan of hers but her attitude has been really bad on the show lately. Two for the price of one - what a great weekend you ladies had. I am not a big NeNe Leaks fan but the photo of you guys is nice! I always find out about these expos too late! Pookah would have loved the bouncy castles! The Alive Expo was mentioned in our Georgia Mom group, I'm surprised you didn't see it. I think that's pretty darn sneaky for them to push you buying a product in order to meet her, when sooo many A-list celebs do that for free when they're just stopped in the open. But I guess being a brand/personality is her career instead of movies, so that's how she has to get her money. That lotion with the honey sounds amazing! It is a sneaky move to make money. If it wasn't for me already waiting in that line for awhile I would've just left. That lotion is amazing, just very pricey. I love going to Women's expo, in fact we had one here over the weekend. Sounds like you all had fun, minus spending the money to get a pic. I did that once and said I wouldn't do it again. p.s. I think that fight was rigged! ProductReviewMom.com is a participant in the Amazon Services LLC Associates Program, an affiliate advertising program designed to provide a means for sites to earn advertising fees by advertising and linking to Amazon.com. This website also earns from other affiliate programs. It does not affect the views of my reviews or content.